Why are so many Aboriginal Australians still disadvantaged? Why is so much potential still wasted? Why is ‘the Aboriginal problem’ still intractable? Why can we not even agree on the causes, let alone ways forward? Why have billions on special programs had such little effect? Is it all bad news? How can we: realise the talents of all Australia’s Aboriginal citizens, eradicate disadvantage, grow Aboriginal success, and achieve at last the real potential of this country? 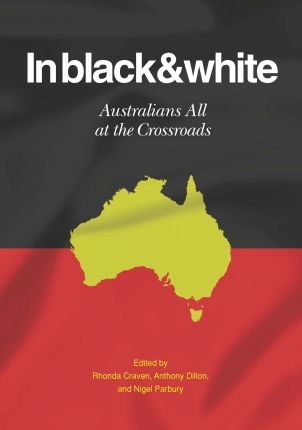 In Black and White: Australians All at the Crossroads seeks to illuminate the issues through perspectives of concerned blackfellas and whitefellas, both, on root causes, how issues play out on the ground, and what needs to be done. It is the hope of the editors that experiences and ideas, from the community base to the heights of policy, may reveal the common ground that is sine-qua-non to working out real answers and practical programs that will make a difference. As the subtitle’s reference to our National Anthem suggests, all Australians - that’s all of us – must put an end to the wastage of Indigenous talent and the denial of the real Australia that has diminished our nation far too long. 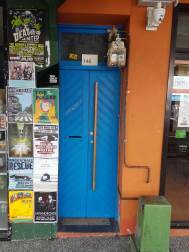 Aussies can do anything. Together we can’t lose! … as a nation we need a new intellectual mindset and new and dynamic focus upon ensuring Australia flourishes by explicating what seeds success. Employment is the single most important factor to economic development and we want Aboriginal people to be training and working in the roles that were seen to be untouchable. Neo-liberalism, a free-market fundamentalism that worships a particular brand of modernisation, is strikingly hostile to the central tenets of Aboriginal custodianship and to the overwhelming evidence offered by multi-disciplinary scientists that the current pattern of human growth is fuelling chaotic but interconnected threats to the diversity of life on earth. … we need to stop talking in terms of ‘closing the gap’. There are Aboriginal people whose social and material circumstances are virtually indistinguishable from those of other middle-class Australians. [My husband’s] mantra was that Aboriginal people would never be equal until they were treated equally, and whilst they had been granted equal rights, no one had imposed equal responsibility. The rest of the world is looking and wondering … why so many Indigenous people have the sense of entitlement … that everything will be done for them. The voices of the dispossessed, the most marginalised, those who suffer most are routinely ignored in the clamour – in fact, often deliberately and systematically excluded by those who have appointed themselves as spokespeople. History matters. It is crucial to understanding and developing the relationship between ALL Aboriginal and ALL non-Aboriginal Australians. Expecting Aboriginal people to adapt and participate in Australian society should not be equated with assimilation. … when Indigenous peoples’ aspirations, knowledge, cultures, and skills are given priority in project development they often succeed. Professor Rhonda Craven is Director, Centre for Positive Psychology and Education, University of Western Sydney, which is ranked 7th in the world and first in Australia for Educational Psychology. She is the editor of the best selling text Teaching Aboriginal Studies (1999, 2011), the National Project Co-ordinator of the highly successful Teaching the Teachers Indigenous Australian Studies Project of National Significance, and has served as an invited expert for the National Experts Closing the Gap Forum for the Menzies Foundation. Dr Anthony Dillon is a Postdoctoral Fellow at the Centre for Positive Psychology and Education, University of Western Sydney. He has worked as a data analyst, analysing Aboriginal health datasets for ten years, and currently lectures on psychology, and Aboriginal health and well-being at the University of Western Sydney. He is often asked by various media for his views on Aboriginal affairs and has contributed to The Australian and the ABC’s The Drum. Nigel Parbury is author of the acclaimed Survival: A History of Aboriginal Life in New South Wales (1986, 2005). He has worked in Aboriginal education for 25 years, for NSW AECG (Aboriginal Education Consultative Group) 1990-99, 2005-10, involved in: the schools reconciliation rock musical 1788: The Great South Land and, with Rhonda Craven, Teaching the Teachers: Indigenous Australian Studies Project of National Significance and the best-selling text Teaching Aboriginal Studies (1999, 2011). Now with the Centre for Positive Psychology and Education, University of Western Sydney, passionate about Aboriginal talents, dreaming what Australia can be.